The snowpack continues to build up at higher elevations with average snow depths near 50 cm at most mountain passes. Meanwhile, many of us are getting our gear ready for the upcoming winter, and anticipating another winter filled with powder days! Late November is a great time to plan for avalanche education. 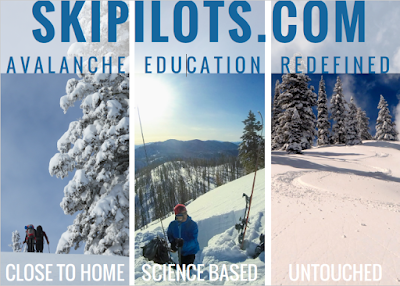 The newest AIARE avalanche course provider in Idaho is Avalanche Science. 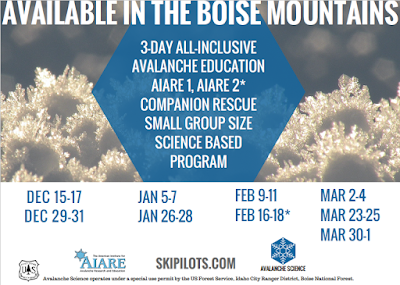 AIARE Level 1 and Level 2 courses will be taught for the very first time at Mores Creek Summit in the Boise Mountains. 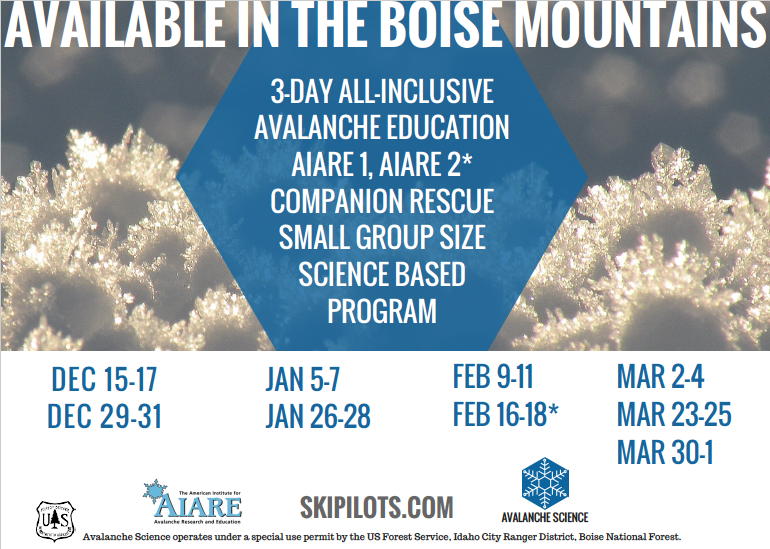 Now you can take an avalanche course near Boise and kiss goodnight your kids at your Boise home after an avalanche course field day! Besides, backcountry skiers will be able to learn about avalanche and snow science while skiing the best lines at Pilot and Freeman Peaks. Do not wait long to sign up. These courses are designed for very small groups and space is limited. We already have full bookings for some of the dates that are not advertised in the above image. In addition we have an innovative format where the AIARE Level 1 course also includes the AIARE Rescue course, all in three days. Starting this winter, the AIARE Rescue course is a pre-requsite for AIARE L2 courses. Not only these courses are small in size and enjoy an intimate student to instructor ratio, but participants get with the course scientific grade digital thermometer, snow crystal observation magnifier, lexan crystal card, and a weather-proof field book. Participants will also enjoy newly developed online educational content. 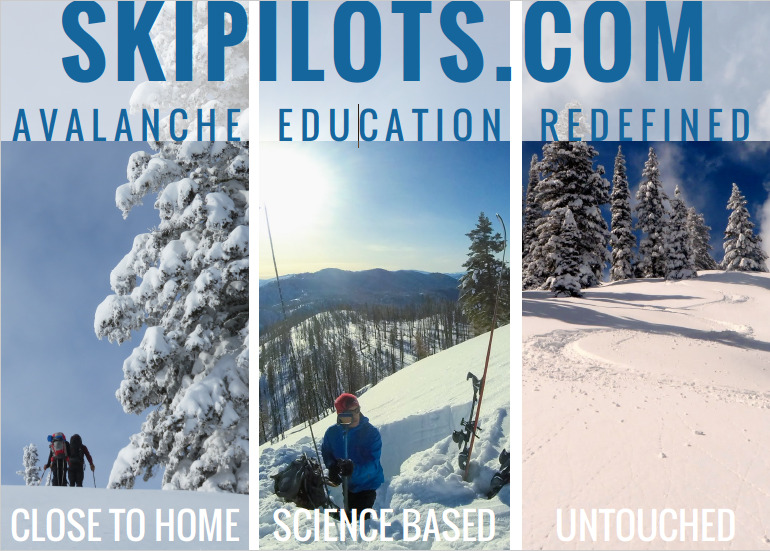 Check SKIPILOTS.COM or AVYSCIENCE.COM for other offerings, such as the Exploring Mores Creek Summit at a very attractive first year introductory rate. 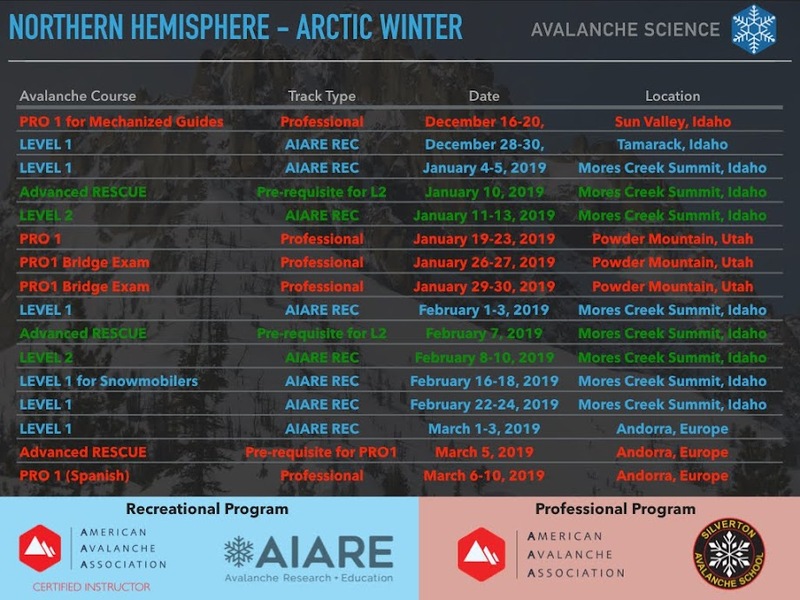 There are other avalanche educational tracks such as avalanche skills refreshers, PRO1 preparation course, as well as other programs at International venues in the Andes and the Pyrenees.